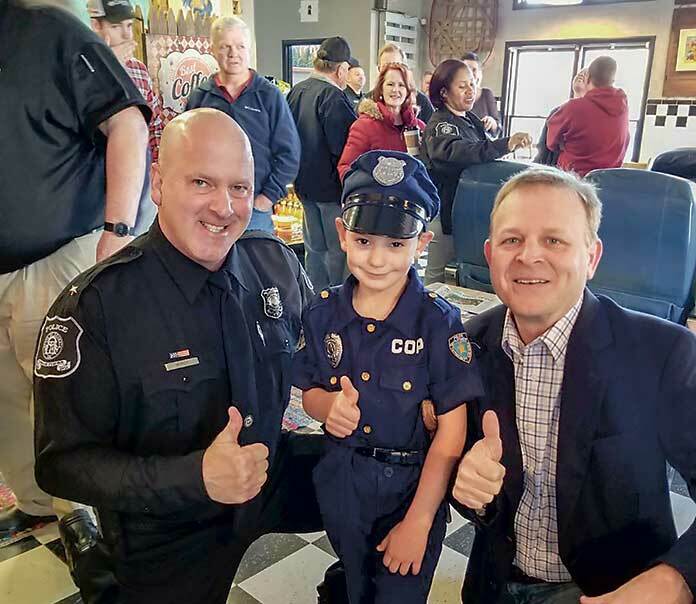 Timmy Volle was perhaps the youngest person to attend the March 28 “Coffee with a Cop” in Tyrone. Pictured with Timmy are, from left, Police Chief Randy Mundy and Tyrone Mayor Eric Dial. Photo/Tyrone Police Department.